The ongoing threat from the rise of ecommerce may be good news for industrial units but in one Canadian city demand for retail is also noteworthy. 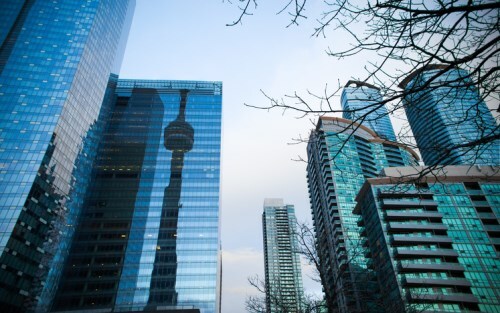 A new report from CBRE reveals that Toronto is a popular choice for international retailers, the only North American city to make the top 20 target cities for new entrants and 7th globally. In 2017, Toronto welcomed 40 new international retailers, more than any other North American city and far outpacing New York’s 15 new entrants. Canada overall added 50. “International retailers are increasingly recognizing Toronto as a global gateway city. The cosmopolitan nature of the city and the large, diverse population that resides in the Greater Toronto Area are key attractive for international retailers as they expand globally. International retailers are no longer separating U.S. and Canada – they now are including Toronto as an integral part of their Eastern seaboard expansion plans,” commented Arlin Markowitz, Urban Retail Team at CBRE Toronto. Part of Toronto’s charm for retailers is its relatively low leasing rates, especially given its size. “Toronto is a larger city than Chicago, yet our high street rents are half compared to the Windy City: Bloor Street averages $335 CAD per square foot, while Chicago’s Michigan Avenue runs at $677 CAD per square foot,” added Markowitz. The ability to maximize profits is also driven by Toronto’s affluence and the luxury retail sector accounted for more than a third of the new entrants in 2017. As well as residents’ ability and desire spend on luxury, the popularity of Toronto as a tourist destination is also a key draw for international luxury retailers. “Retail accounts for 77% of overall Chinese tourist spending in Toronto, with luxury goods contributing a high percentage. The cumulative effect of these factors on retail sales is not lost on these brands,” said Markowitz. He added that pre-existing luxury retailers are increasing their bricks and mortar presence in Toronto, citing Hermes as an example. The firm’s 13,000 square foot Bloor Street West flagship store is 10 times the size of its previous location.